JNN 06 Jan 2015 Islamabad : The Rawalpindi bench of LHC acquitted four prisoners accused of a 2002 suicide attack on an Imambargah Shah e Najaf , Lahore , in which 11 people were killed and 19 were injured. They were sentenced to death on December 9, 2009. Malik Rafiq, the advocate of the four men, had filed an application in the LHC, saying that the trial was unfair and his clients were subjected to injustice. The high court bench said the death sentences were not based on justice and ordered the release of Habibullah, Fazal Hameed, Tahir Hussain and Naseer Ahmed. The investigation officer at the time, Raja Saqlain, was also shot dead in an attempt to allegedly weaken the investigation. A three member bench, headed by SC’s Justice Asif Saeed Khosa, also acquitted one death row prisoner. The convict, Mazhar Hussain, was given a death sentence by an anti terrorism court (ATC) in a kidnapping-for-ransom case in 2012. A divisional bench headed by Justice Abdul Sami Khan and Justice Sadiq Ali Khan suspended the death warrant of a prisoner who was scheduled to be hanged on January 14. Brother of accused Muhammad Faiz moved the court, stating that Faiz’s mercy plea was pending in Supreme Court, hence his death warrant could not be issued. 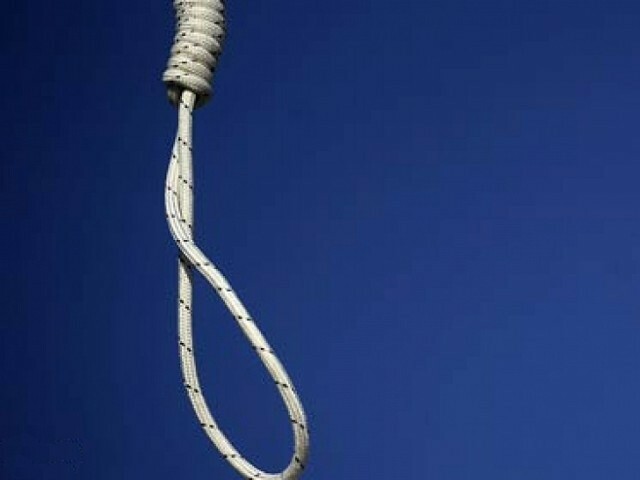 The Supreme Court (SC) and Lahore High Court (LHC) on Monday acquitted five death row prisoners, Express News reported. The death warrant of another convict was also suspended. The Common Pakistani Man has totally lost its confidence on the Present Judicial System , as it is Corrupt , inefficient and has lost its legitimacy , as the common man could not achieve Justice and relief due to its delayed and inefficient Process , which is very costly and has no time Bars , due to which the criminals take full advantage of it . And it is due to the above reasons the conviction rates is 18% of all the Crimes reported , which is horribly low in the whole world . There is No Law in the country which Provides Protection for the common Man By Providing a certain time frame for the Judicial Process for any case to complete , and due to which the Lawyers and the Judges are unanswerable to any forum , and due to which again the Criminals , benefit , while the Pakistanis suffers , As there is an old saying even that “ Justice Delayed is Justice denied ”. And due to this Out dated and Unanswerable Corrupt Judicial System , even the Self confessed Proclaimed offenders like Malik Ishaq , founder of Lashkar e Jhangvi , and the Self Styled Cleric Abdul Aziz Roam free , even having committed Crimes against the State . It is therefore the Public Anger has given a Loud a Clear Mandate for the establishment of Military Courts , of which some Members of the Criminal Community are even Now Opposing and are creating hurdles in its ways , as they are afraid that they ll also fell , under the categories of terrorists , as they have a clear track record of supporting and sponsoring terrorist Organizations and their atrocities. This entry was posted in Jafria and tagged Convicts Acquited, death warrant, Imambargah Shah e Najaf, Lahore High Court, LHC, Suicide Blast, Supreme Court. Bookmark the permalink.